As became clear after their Game 1 loss to the Golden State Warriors on Thursday night, the Cleveland Cavaliers lack many things. One thing they don’t lack: Respect for the Warriors. “They’re the best I’ve ever seen,” Tyronn Lue. This is both profound and not at all a leap. This version of the Warriors hasn’t yet won as many games as last year’s iteration, but the sheer amount of talent on the roster, from Stephen Curry and Kevin Durant, to Draymond Green and Klay Thompson, to Andre Iguodala and Shaun Livington, to the end-of-bench players, is absolutely staggering. 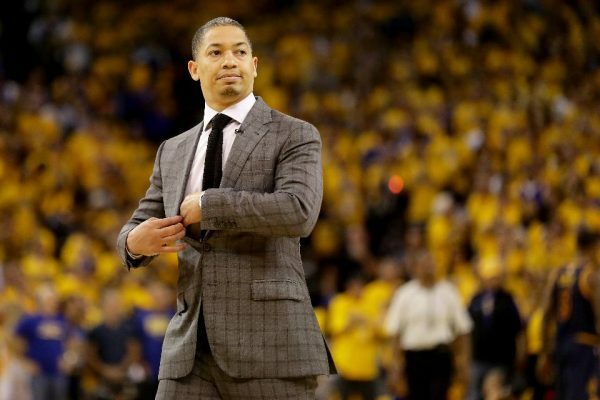 Step back, look at the macro view, and it’s hard to come up with arguments against Lue’s stance. The Warriors are 207-39 in regular-season contests since 2014-15—a winning percentage north of 84. That’s absolutely absurd. No NBA team has ever enjoyed such a purely dominant stretch. Once this ride over, however long it lasts, there may never be another team like it, either. It took a perfect storm of events for these Warriors to exist. Stephen Curry fell outside the top five of the draft. Klay Thompson dropped outside the top 10. Draymond Green was selected in the second round. Curry’s post-rookie scale extension clocked in as one of the best bargains ever. That afforded them the flexibility to sign Andre Iguodala and keep building. Locking up Green and Thompson to their post-rookie deals before the salary-cap boom also helped preserve flexibility. This way, after the salary-cap boom, the Warriors’ three best players were arguably all playing under market value. And that, in turn, allowed them to sign Kevin Durant. Enjoy this team, even if you hate watching them. Blowouts are seldom fun to watch, and we needn’t pretend the Warriors reach us on a higher level with the ease in which they swarm on defense and destroy on offense. But we are watching history—the culmination of the best three-year stretch in NBA history. Cherish that.